Helmut K. Anheier is Professor of Sociology and past President of the Hertie School of Governance. He also holds a chair of sociology at Heidelberg University and serves as Academic Director of the Centre for Social Investment. He received his PhD from Yale University in 1986 and later served as a senior researcher at Johns Hopkins University, Professor of Sociology at Rutgers University, Professor of Public Policy and Social Welfare at UCLA’s Luskin School of Public Affairs, and Centennial Professor at the London School of Economics. Before embarking on his academic career, Prof Anheier served as Social Affairs Officer to the United Nations. He is author of over 450 publications and has won several international prizes and recognitions for his scholarship. Among his recent book publications are Nonprofit Organizations: Theory, Management, Policy (Routledge, 2014), A Versatile American Institution: The Changing Ideals and Realities of Philanthropic Foundations with David Hammack (Brookings, 2013), and The Global Studies Encyclopedia with Mark Juergensmeyer (5 vols, Sage, 2012). He is the principal academic lead of the Hertie School’s annual Governance Report (Oxford University Press, 2013-) and is currently working on projects relating to indicator research, social innovation, culture, philanthropy, and organisational studies. 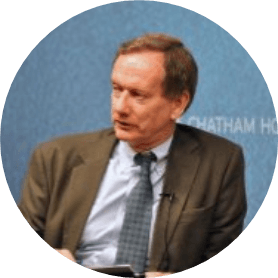 Iain Begg is a Professorial Research Fellow at LSE’s European Institute, Associate Fellow at Chatham House, and will shortly complete a two-year senior fellowship on the UK in a Changing Europe initiative. His main expertise is in the political economy of European integration and EU economic governance. He has directed and participated in numerous research projects on different facets of EU policy, covering the governance of economic and monetary union in Europe, the EU’s ‘Europe 2020’ strategy and future employment prospects in the EU, and reform of the EU cohesion policy. 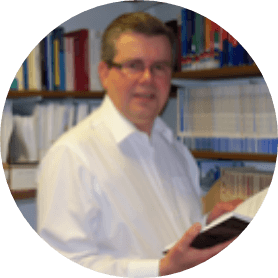 Iain has served as a specialist adviser to the House of Lords European Communities Committee for an inquiry into European economic and monetary union and has undertaken a number of other advisory roles. Kevin Featherstone is Eleftherios Venizelos Professor of Contemporary Greek Studies, Professor of European Politics, and Head of the European Institute at LSE . He has held visiting positions at the University of Minnesota, New York University, and Harvard University. Before LSE, he held academic posts at the universities of Stirling and Bradford. In 2009/10 he served on an advisory committee for the reform of the Greek government. He was the first foreign member of the National Council for Research and Technology (ESET) in Greece. In 2013, he was made Commander of the Order of the Phoenix by the President of Greece for his academic contributions. His research has focused on the politics of the European Union and on the politics of contemporary Greece. His book (co-authored with Kenneth Dyson), The Road to Maastricht: Negotiating EMU (Oxford University Press), was recognised in the European Parliament’s list of ‘100 Books to Remember’. He has published many other monographs, including The Politics of Europeanization and Prime Ministers in Greece: the Paradox of Power, both also with Oxford University Press, as well as numerous journal articles. He is a regular contributor to the international media. Andrea Römmele is a Professor of Communication in Politics and Civil Society at the Hertie School of Governance. Her research interests are comparative political communications, political parties, and public affairs. She held the Fulbright Distinguished Chair in Modern German Studies at the University of California, Santa Barbara, in 2012/13 and has been a visiting fellow at Johns Hopkins University and the Australian National University in Canberra. Prof Römmele is co-founder and Editor in Chief of the Journal for Political Consulting and Policy Advice and also works as a consultant to political and corporate campaigns. She obtained her master’s degree from the University of California, Berkeley, a PhD from Heidelberg University, and a habilitation from the Free University of Berlin. Gesa has been working as Dahrendorf Manager at the Hertie School since 2011. She has simultaneously served as a board member of the European Movement Germany and as a seminar coach for the Schwarzkopf Stiftung. From 2004 to 2011, Gesa worked as Manager and Research Associate at the Institut für Europäische Politik (IEP) in Berlin and as project manager at the Centre International de Formation Européenne (CIFE) in Nice, France and in Berlin. Gesa completed a Staatsexam in Social Sciences and French Studies as well as an MA in European Studies. 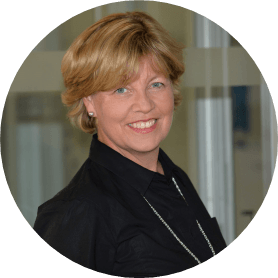 Louise has managed the Dahrendorf team in London since January 2016. Prior to joining Dahrendorf, she was Manager of the Weidenfeld-Hoffmann Scholarships and Leadership Programme at the University of Oxford, first as part of the London-based think tank the Institute for Strategic Dialogue (ISD), and more recently at the newly established Weidenfeld-Hoffmann Trust. Other highlights of Louise’s career include stints at Bonhams Auctioneers and the Royal College of Psychiatrists, as well as seven years as Manager of the Urban Design Group, an international campaigning organisation for built-environment professionals. 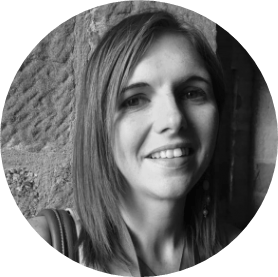 Originally from Carlisle in Cumbria, Louise has a first class BA History Degree from University College London and an MA in Russian Studies (with Distinction) from the UCL School of Slavonic and Eastern European Studies. 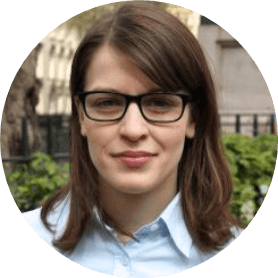 Julia worked as a Research Associate on the third Dahrendorf cycle (2015-16) while she was completing her PhD in International Relations at the LSE. During this period, she was also part of the LSE Commission on the Future of Britain in Europe, coordinating a hearing on foreign policy. Since then Julia has led the research on European defence at the European Leadership Network (ELN), a London-based think tank. She also convened courses on European and German Foreign Policy at King’s College London and taught in the LSE International Relations Department. Julia holds an MA in International Peace & Security from King’s College London and a BA (Hons) in Politics & Development Studies from SOAS. Her wider research interest lies in European foreign policy and conflict settlement, particularly in the Western Balkans and the European Neighbourhood. 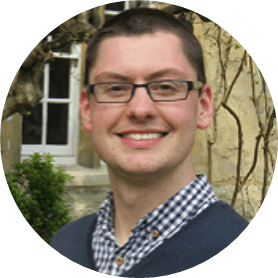 Benjamin joined the Dahrendorf Forum from the University College London (UCL) European Institute, where he was a Research Associate. Alongside his own research and lecturing, he has been responsible for the Institute’s outreach programme, working to increase the public and policy engagement of academic research in the field of UK-EU relations. Additionally he is co-editing a book titled Brexit and Beyond: Rethinking the Futures of Europe, which compiles contributions from leading EU and IR scholars (due for publication in late 2017). Benjamin’s wide-ranging research interests encompass international relations, comparative politics, and foreign policy analysis. 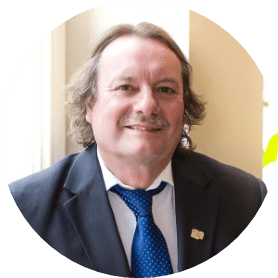 Prior to UCL, he worked as a Lecturer in Politics and International Relations at Canterbury Christ Church University, Lecturer in International Relations at Wadham College, Oxford, and Associate Lecturer at Portsmouth Business School. 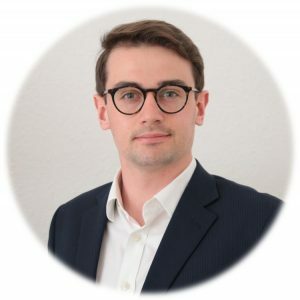 Benjamin received his DPhil from the University of Oxford in 2015 for a thesis on the party politics of West European security, which examined the role of ideology and partisanship in German, French, and British foreign policy. He also holds an MPhil in International Relations from the University of Oxford and an MSc in International Relations Research from the London School of Economics, both with Distinction. 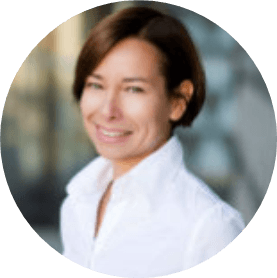 Monika has been a Dahrendorf Post-Doctoral Fellow at the Hertie School of Governance since 2015. During the 2016-17 academic year she was also a Jean Monnet Fellow at the Robert Schuman Centre and Fellow in the Europe in the World programme at the European University Institute in Florence. Monika has published widely on European foreign policy, the Eastern Partnership, Europeanisation, and advisory policy. Before coming to the Hertie School, she held an assistant professor position at the German Academic Exchange Service (DAAD)-founded Willy Brandt Centre for German and European Studies at the University of Wroclaw in Poland. She has been granted scholarships by the Hertie Foundation, the Robert Bosch Foundation, the Foundation for Polish-German Cooperation, Academia Europea de Yuste, the Natolin European Centre, and the National Science Centre of Poland. She has been a visiting fellow at the European University Institute in Florence, at the Centre Canadien d’Études Allemandes et Européennes at the University of Montreal, and at the European Union Centre of Excellence at the University in Pittsburgh. Alexandru Filip obtained his Doctorate at the Bremen International Graduate School of Social Sciences (BIGSSS) in 2017, exploring the rise of eurosceptic populist parties and its influence on moderate mainstream parties. He is a student and scholar of European Integration and his main interests lie in the fields of European Union Politics, Populism and Electoral Competition. Prior to his work on the Dahrendorf Forum, Alex has explored the dynamics of public opinion formation as a research associate at Jacobs University Bremen, and conducted briefing and event organization as an intern in the European Parliament’s General Directorate for Communication. 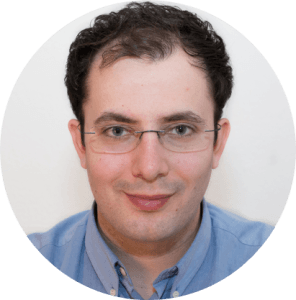 Originally from Sibiu, Romania, Alex has a BSc in Political Science from the University of Helsinki and an MSc in Political Science at the University of Uppsala. Josefin is an area studies specialist working on the narrative politics of difference and deviance in Europe, with a particular interest in Germany, the UK and Sweden. Her research is interdisciplinary, drawing on insights from hermeneutics, media studies, political communication and social theory to explore current dynamics in European politics, especially as they relate to questions of migration, populism and political violence. She received her PhD in German Studies from the University of Birmingham in 2017 and worked as research assistant at the Birmingham Business School and as text analyst for a social media agency in London before joining the Hertie School in 2018. She also co-convenes the German Politics Specialist Group of the UK Political Studies Association. She tweets @graef_j. Christoph joined the Dahrendorf Forum as a research associate in 2019. He currently pursues a PhD in Governance at the Hertie School of Governance, focusing on social media, misinformation and deep fakes. In his PhD, he investigates the societal impact of misinformation and its spread on social media, with a deep interest in identifying strategies to cope with these emerging phenomena. Christoph’s professional experience spans from positions at various Berlin start-ups to consultancy work, having worked at Rocket Internet and Hering Schuppener, among others. Beyond that, he is a board member of Polis180, a Berlin-based grassroots-think tank for foreign and European affairs. Christoph holds a BA in Psychology from the University of Hagen and a Master of Public Policy from the Hertie School. Lisa holds an MSc in International Relations from the LSE, specialising in European affairs and EU external relations. 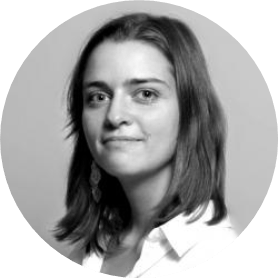 Before joining the Dahrendorf team, she completed an internship at Chatham House where she worked on the US and the Americas Programme, coordinating various high-profile events and contributing to a report on US-European relations. 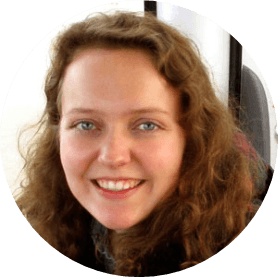 Lisa has also completed internships as a researcher at the Centre for the Law of EU External Relations (CLEER) in The Hague and at the Dutch Embassy in Bogotá, Colombia, both of which provided valuable insight into European policy-making processes. Here she also gained experience of project coordination and event management while assisting in diverse research projects and engaging with various stakeholders including EU diplomats, NGOs, and corporate entities. 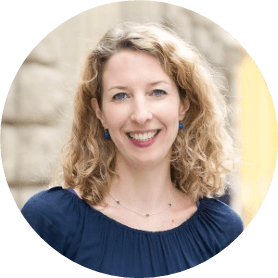 Hallie brings to the Dahrendorf Forum more than five years’ experience in communications, policy engagement, and publishing for think tanks, publishers, and philanthropies. Her most recent role was at Portland, a PR agency in London, where she worked with high-profile clients including the Bill & Melinda Gates Foundation and the Mo Ibrahim Foundation. Hallie began her career as editor, fact checker, and public relations manager for a book about the US Farm Bill. She then spent a year at The Atlantic magazine in Washington, DC, as an Editorial Fellow. She holds a master’s degree in Global Political Economy from City, University of London. 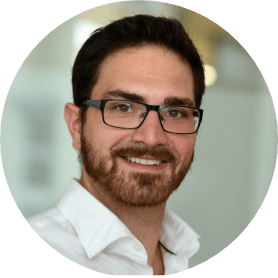 Marcel joined the Dahrendorf Forum as Research Associate in October 2017. Between 2016 and 2018, he was program director at the Berlin-based grassroots think tank Polis180 e.V., where he actively engaged in all questions pertaining to Brexit and its aftermath. In his previous position at the German Federal Ministry for Labour and Social Affairs, he worked on European social and employment policy. Marcel has prior work experience in political consulting, the public and private sectors, as well as academia. Marcel holds a BA in international relations and international organisation from the University of Groningen and a Master of Public Policy from the Hertie School of Governance. As a passionate European, he has diverse research interests, from the governance of the Eurozone to strategic foreign policy challenges. 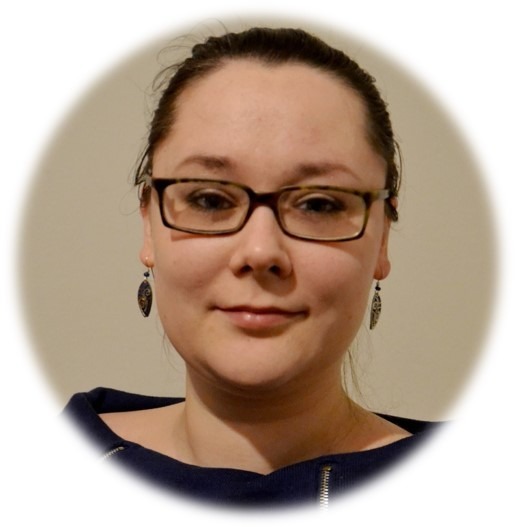 Marie Wachinger was appointed as a Research Associate at the Dahrendorf Forum in September 2017 after two years as Research Associate at the Hertie School of Governance. She is currently working on a PhD in Political Science at the Free University Berlin. Her research focuses on solidarity, statehood and the EU. Previously, she has gained work experience at a newspaper and a political think tank. 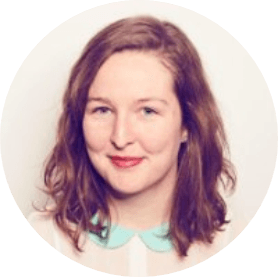 Marie holds a BA from Amsterdam University College and an MA in Political Theory from the London School of Economics and Political Science. Edward Knudsen joined the Dahrendorf Forum in Berlin in March 2019, where he focuses on transatlantic politics and economics. 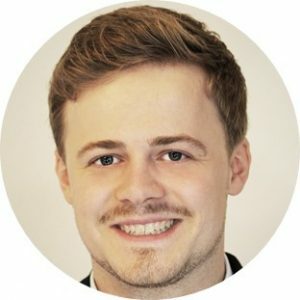 Before moving to Berlin, he was a Research Assistant for the US and the Americas Programme at Chatham House in London and worked on projects exploring the future of transatlantic economic and security relations. He has also gained work experience in economic history research at the University of California-Berkeley and as an analyst at JP Morgan Chase. He holds a master’s degree in International Political Economy from the London School of Economics and a bachelor’s degree with majors in History and Economics from the University of Wisconsin-Madison. His research interests are the historical origins of economic ideas, the linkages between economic and security policy, and the future of transatlantic relations. The Hertie School of Governance is Germany’s leading public policy school, with a variety of first-rate academic projects and a diverse student body. The School actively engages in public debate with its wide range of events bringing together experts from theory and practice. The Hertie School prepares exceptional students for leadership positions in government, business, and civil society. The School also offers experienced professionals the opportunity to deepen their skills in the field of public management. A renowned international faculty with expertise in economics, business, law, and political and social science take an interdisciplinary, policy-oriented approach to the School’s teaching and research agenda. The London School of Economics and Political Science (LSE) studies the social sciences in their broadest sense, with an academic profile spanning a wide range of disciplines, from economics, politics, history, and law, to sociology, information systems, and accounting and finance. The School has an outstanding reputation for academic excellence and is one of the most international universities in the world. Its study of social, economic, and political problems focuses on the different perspectives and experiences of most countries. From its foundation LSE has aimed to be a laboratory of the social sciences, a place where ideas are developed, analysed, evaluated, and disseminated around the globe. LSE IDEAS is an Institute of Global Affairs Centre that acts as the School’s foreign policy think tank. Through sustained engagement with policymakers and opinion-formers, IDEAS provides a forum that informs policy debate and connects academic research with the practice of diplomacy and strategy. IDEAS hosts interdisciplinary research projects, produces working papers and reports, holds public and off-the-record events, and delivers cutting-edge executive training programmes for government, business, and third-sector organisations. Stiftung Mercator is a private and independent foundation. Through its work it strives for a society characterised by openness to the world, solidarity, and equal opportunities. In this context it concentrates on strengthening Europe; increasing the educational success of disadvantaged children and young people, especially those of migrant origin; and driving forward climate change mitigation and promoting science and the humanities. Stiftung Mercator symbolises the connection between academic expertise and practical project experience. One of Germany’s leading foundations, it is active both nationally and internationally. Stiftung Mercator feels a strong sense of loyalty to the Ruhr region, the home of the founding family and the foundation’s headquarters.